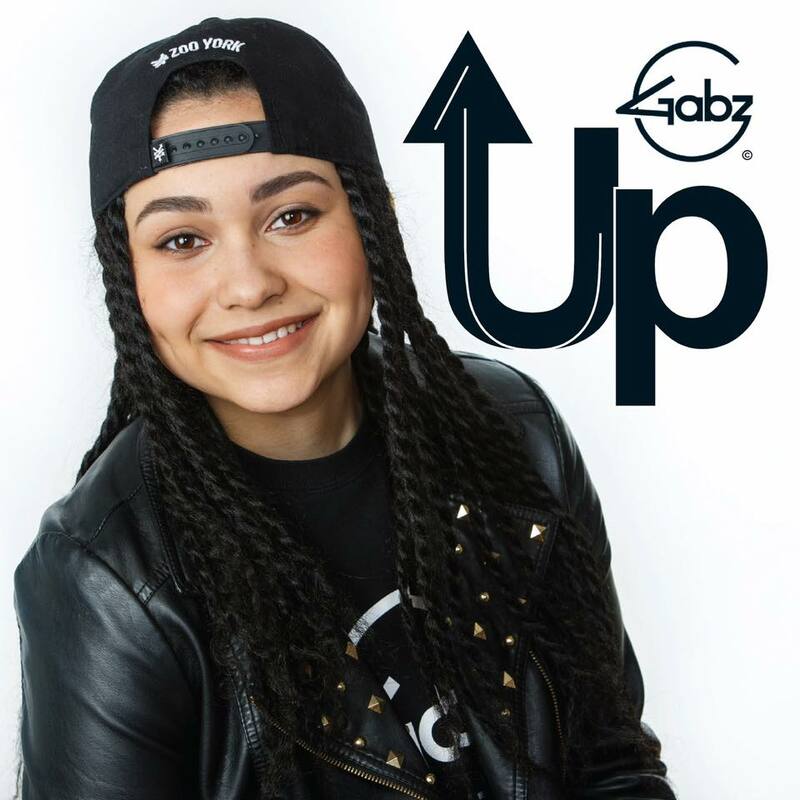 Single Review: Gabz, Up – music waffle. Stevenage is famous for a few things. It’s a new town within the capital’s commuter zone, containing many roundabouts and few traffic lights (learner drivers get very tuned in to the rules of roundabout etiquette). It has also had amongst its inhabitants the one time Guinness World Record holder for the most tattooed senior citizen (Isobel Varley – now deceased) and the train station was the scene of Paul Gascoigne’s arrest for assaulting a British Rail employee. Recently, during his stay on the International Space Station, Tim Peake drove a Mars Rover vehicle around the Airbus premises in Stevenage using remote control technology. Then (no hint of bias here) there’s the world’s greatest racing driver, Lewis Hamilton, the very best of Stevenage. So now we can add to the role of honour Gabz, the rapper who made such a positive impression on Simon Cowell in Britain’s Got Talent, reaching the final of the 2013 series. She followed with her single, Lighters (The One) (written when a mere 13 years old) reaching number 6 in the singles chart and earning her a place on the Now 85 album. Gabz started to play the violin at the age of six, which was followed by the piano, guitar, drums and ukulele. She also grew up learning the crafts of drama, ballet, modern and tap dance but music was always her main passion. Gabz has already performed throughout the UK at venues including the London Palladium, Royal Albert Hall, the Olympic Park alongside McFly and Blackpool’s IFest 2015 with The Vamps, Professor Green and Lawson. Alongside this also embarking on many appearances including: Radio One, ITV Day Break, The One Show and This Morning. Admirably, she also has a strong passion for helping others and wants to be a good role model for the youth of today. Gabz has been actively involved in helping to raise funds through performances and visits for UK charities including Jackie’s Drop In (a centre for adults with disabilities), and Wings Of Hope (providing support for underprivileged children in India and Malawi, plus helping develop the skills and talents of students in the UK). Gabz has drawn inspiration for her songwriting and music from everyday life experiences and her love of movies. New single, Up, is upbeat and projects the positivity of youthful optimism. The track is released on Friday August 5th (pre order link here) to be followed by an EP on September 2nd. To quote Gabz, “Up will have something for everyone, there will be different styles including pop, dance, rap and a ballad.” Sounds like she’s got it covered.